Xiaomi Mi 5s and Mi 5s Plus was announced in 29 September 2016. 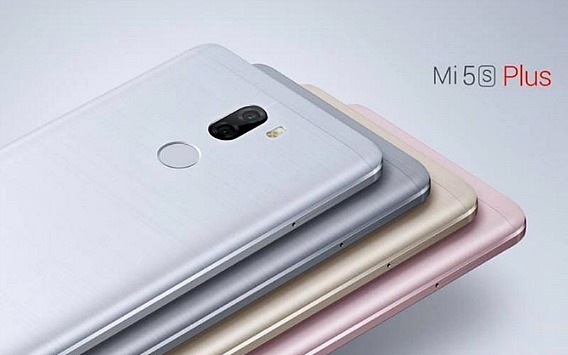 Mi 5s Plus is a third big-screen phone from the company after the launched Mi Note and Mi Max. Xiaomi Mi 5s sports a 5.15-inch full-HD display with a resolution of 1080 pixels by 1920 pixels at a PPI of 428 pixels per inch. On the other hand, Xiaomi Mi 5s Plus comes with bigger 5.7-inch full-HD display with 550-nit brightness and 94 percent NTSC color gamut. The Xiaomi Mi 5s and Mi 5s Plus are powered by Qualcomm Snapdragon 821 processor with differ clock speeds. Mi 5s is clocked at 2.15GHz, while the Mi 5s Plus is clocked at 2.35GHz. The Mi 5s packs 3GB RAM with 64GB storage and 4GB RAM with 128GB storage models. Mi 5s Plus comes in 4GB RAM with 64GB internal storage and 6GB RAM and 128GB internal storage models. As far as the cameras are concerned, the Xiaomi Mi 5s sports 12-megapixels ultra-light-sensitive rear camera with Sony IMX378 CMOS sensor and sports 4-megapixels front camera for selfies. The Mi 5s Plus, on the other hand, equipped with new dual rear camera which 13-megapixels image sensor from Sony – one shoots in colour, and another shoots in black and white. Besides that, the Xiaomi company also claims that Mi 5s Plus is the first smartphone that shoot in Raw image format. Much like the Mi 5s, the Mi 5s Plus also supports 4K, 1080p, and 720p videos. Xiaomi Mi 5s and Mi 5s Plus replace convention fingerprint sensor with ultrasonic fingerprint sensor placed under glass. There is no mechanical button, which the company claimed the latest ultrasonic technology will not get damaged with use and offers the same level of accuracy and speed as convention fingerprint sensor. At last, the Xiaomi Company also announced the Mi 5s and Mi 5s Plus retail price. Mi 5s 3GB ram / 64GB storage model pricing start at 1999 yuan (approximately $300/€267/Rs 20,000/K 380000/₦ 91200) and 4GB ram / 128GB storage model Mi5s pricing at 2299 yuan (approximately $345/€307/Rs 23,000/K 440000/₦ 105000). Another high-ranking Mi 5s Plus comes with 2299 yuan (approximately $345/€307/Rs 23,000/K 440000/₦ 105000) for 4GB/64GB model, and for 6GB/128GB model will cost 2599 yuan (approximately $390/€350/Rs 26,000/K 500000/₦ 120000). Currently the phone only limited to China, however expect it will be sold in oversea markets such as U.S, India, Singapore, Myanmar, and other country in the near future.